93 faculty members presented a letter calling on the Board of Managers to divest from fossil fuels Friday night at the board’s February meeting. Throughout a reception in Eldridge Commons, various faculty members approached members of the Board about divestment. Faculty used the letter to talk about divestment and to evidence a majority of the faculty’s desire to divest — a desire in-line with that of 950 students, who have called on the board to divest as well. This move comes in the wake of the college’s sustainability charrette last week, which sparked conversations amongst students, staff, faculty and the Swarthmore community regarding the college’s commitment to sustainability, and how divestment might play a significant role in making that commitment. 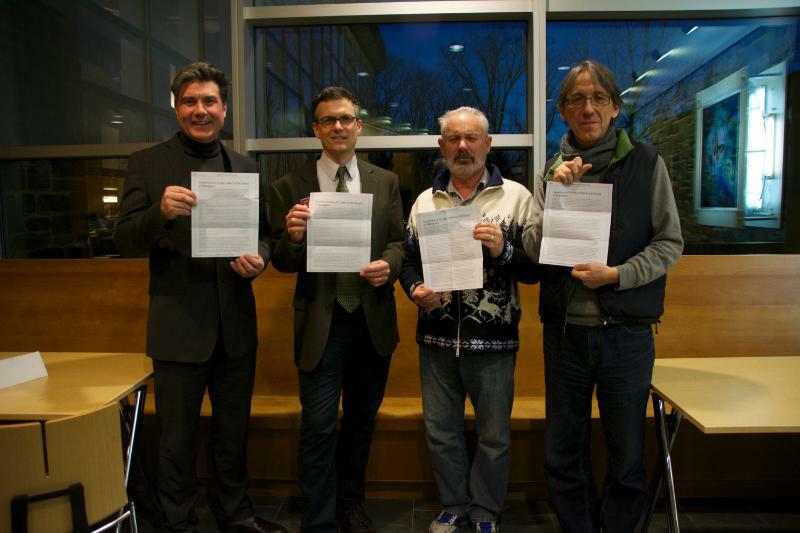 The faculty members involved in the initiative Friday night viewed their actions as a natural reaction to the charrette. These faculty members act in the finest tradition of Swarthmore College.